I’m very excited about today’s video! We’re taking a look at the brand new Shape Twin Monitors by Focal. If you look behind me, you’ll see that my speakers are slightly staggered. The Focal’s and the Genelec’s are equal distance away so that I can reference between them. These Focal’s have a 10 hour break-in time, which Focal actually did for us so that we could open them from the box, stick them up and have a listen! If you’re interested in learning more about these monitors, you can scroll down on this page, or you can visit their website! 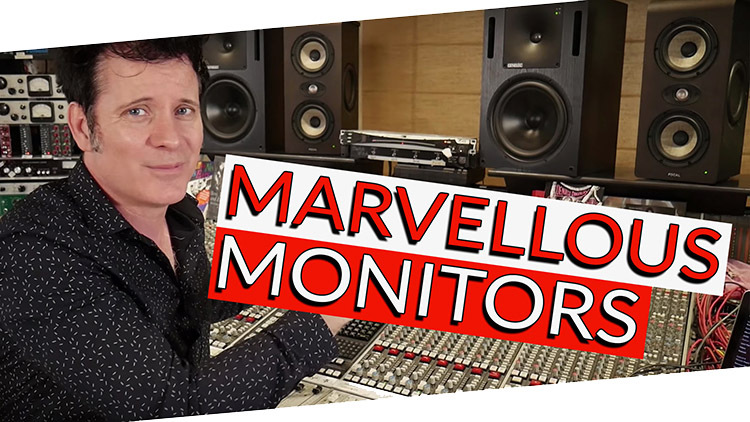 I haven’t listened to these monitors yet, so you’ll see my first and honest reaction in the video below! Whenever I try out new speakers, I always reference songs that I know and love. If you’ve been subscribed for a while, you’ll know where I’m going with this! I’m a huge Queen fan, and I always reference Bohemian Rhapsody since it’s a song that I’ve heard, oh I don’t know.. about 11,000 times! haha! I also know how the song sounds in this room. I’m also going to listen to songs that I’ve recorded and mixed. The Shape twins are smoother on the top end, with a spectacular low end, they’re pretty darn good. They have a-lot more in the low end and low mids! Next I’m going to listen to a song that I recorded: You Found Me by The Fray. The vocals sound just as I remember them! There’s significantly more low-mids than I would imagine from a speaker of this size. Another song that I know probably better than any is a track by Augustana that I produced and engineered called Sweet and Low! I also mixed this song with Jim Scott! To me testing something I know inside out is a much better way to get a feel for something than referencing other people’s tracks. I’m very impressed with these monitors! Please leave any comments or questions below! Shape Twin’s five innovations are the source of the great acoustic performance of this professional work tool. The 2.5-way design brings out the best of two 5″ speaker drivers. The woofer in the lower section of the cabinet is used for the 40-180Hz range, whereas the second transducer is dedicated to frequencies between 40Hz and 2.5kHz. Thus, the emissive surface dedicated to the bass frequencies is equivalent to that of an 8″ subwoofer, with the extra advantage of being compact. The aptitude to work on the mid-range and upper mid-range is considerably increased with a 5″ speaker driver compared to larger transducers. This physical advantage is further enhanced thanks to Flax cone technology whose damping properties are unrivalled in this price range.